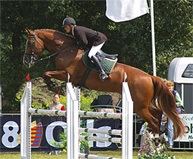 Veldheer, winner of the 6-year old Dutch jumping championships (VION-Trophy) in 2008 under saddle and half brother of Zidane. 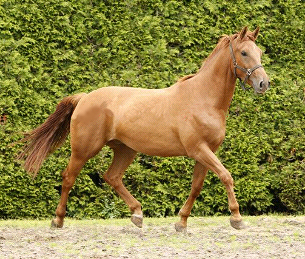 Delightful gelding with fabulous showjump breeding, out of the elite showjump preferent prestatie mare Irina. 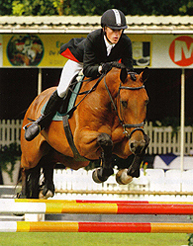 He is kind, totally uncomplicated and very genuine with a great jump. Zidane is broken in and starts to jump. 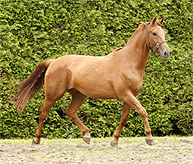 His dam Irina is also dam of the SSH graded stallion Tsjakka and Veldheer, winner of the 6-year old Dutch jumping championships (VION-Trophy) in 2008 under saddle.